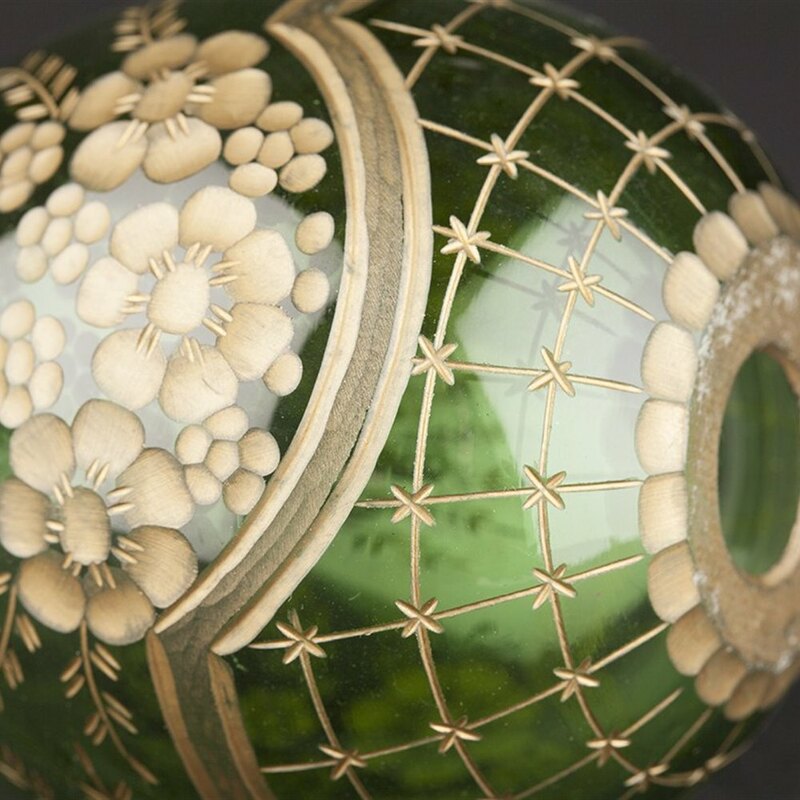 Fine hollow blown green glass egg with deep cut floral designs over a fence pattern. The decoration hand decorated in gold. The glass egg is typically not marked.